A very excited and happy Annie took to her Insta story to post a short video of her getting treated to a nice looking breakfast delicacy. The love these guys share for each other has remained undiluted and unending. 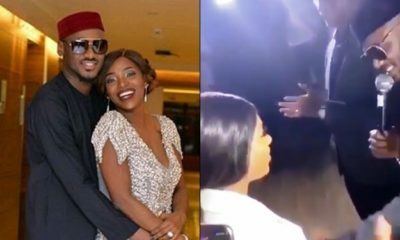 From the first time we saw Annie on 2Face’s “African Queen” till date, they have kept on showing us what a true love story is. Lovely. Love Annie and Tuface..
Lovely. Love Annie and Tuface..They love is so real.